This article on Rogers and Bentonville AR is sponsored by Arkansas Department of Parks and Tourism. All opinions are my own. Northwest Arkansas is a blend of natural beauty, charming mountain towns and family friendly cities. In Rogers and Bentonville, AR, you’ll find award-winning museums, beautiful lakes, state parks and attractions everyone can enjoy. We recently traveled to Rogers and Bentonville, AR, to spend three fun-filled days with the kids. The three-day itinerary was FILLED with interesting things to do in Bentonville, and surrounding areas with the kids. It’s not an inclusive list, but it features some of the area’s best destinations, restaurants and sites you won’t want to miss on a trip to Northwest Arkansas. Did you know Bentonville, AR, is the home of Walmart? This is where founder Sam Walton grew his business from a small chain to the multi-national corporation it is today. The Walmart Museum is on the Bentonville Square in the heart of downtown. This historic museum houses a working Five-and-Dime store and exhibits feature business milestones for both Sam Walton and Walmart. The store includes some of the original items and structures from the first Walmart such as salt water taffy, vintage toys and the mismatched floor tiles. The cashier showed us the tiles and shared the story behind why Sam Walton chose to go with tiles that weren’t the same shade (Hint: It had to do with where people were looking because the deals in his store would be so great). The exhibits in the museum highlight Sam Walton’s accomplishments and take you through the decades of Walmart. You can see Sam’s old Ford pickup truck, his office and even his barber chair. At the end of the museum, you enter the Spark Cafe Soda Fountain where guests can get a scoop of Yarnell’s ice cream or a soda. We each got an ice cream cone. I opted for a mini cone of Woo Piggy Chewy for just $0.50. I wasn’t that hungry, but with a name like Woo Piggy Chewy, I had to try it. It was a brownie ice cream with chunks of brownie and swirls of brownie batter. Turns out it’s also the official ice cream of the University of Arkansas Razorbacks. You can eat your ice cream inside, outside or you can head across the street and enjoy your dessert in the town square. Plan to give yourself at least an hour at the Walmart Museum. This downtown park is small, but worth a stop while you stroll along the nearby shops. In the center of the park is a statute of James Berry, a solider and statesman. There is a fountain around the statue and walking paths. We were here on a Friday night and there was a musician playing in the park. It was nice to sit on a bench and just listen to him play. There are some fabulous Bentonville Square restaurants and shops including the Spark Cafe Soda Fountain, Onyx Coffee Lab, Table Mesa Bistro, Pressroom, The Station Cafe and on Saturday mornings, this is also home to the Bentonville Farmers Market. The kids will love this hands-on children’s museum where they can paint, climb, build, get wet and make noise. The exhibits focus on creative, interactive learning and include: The Market, 3D Tinkering Hub, Nickelodeon Play Lab, Water Amazements, Canopy Climber, Homestead Cabin and many more. During our visit, we went straight into the Hershey’s Lab where we played a game to learn how chocolate was made. The exhibit took you around a game board and taught you about the different aspects of chocolate making, from bean to bar. You can play as long or as short as you like. At the end of the game, everyone is rewarded with a kiss… a Hershey’s kiss! After the game, the kids each went their separate ways to explore the museum. My daughter loved the marketplace where she could pretend to run a market. My youngest, most active child, went straight for the climbing structure and my teen found exhibits on paper planes/aerodynamics, stop motion animation and more. The majority of the exhibits are geared towards children under 10, but older children and tweens will find plenty to do here. If you have younger children (under 10), families could schedule an entire day at Amazeum, but with older children, plan to spend around one to two hours. Crystal Bridges Museum of American Art is a must-see activity when in Bentonville. Not only does the museum have an impressive art collection, but its nature trails are beautiful and guests could easily spend hours exploring. The trails are free and a perfect way to end your first day in Bentonville. There are about five miles of trails at Crystal Bridges Museum of American Art. Most trails are paved, but two are made of crushed granite! On select summer nights, the museum hosts an outdoor family friendly concert. If you are in town, it’s highly recommended. If you are in Bentonville on a Saturday morning, plan to take a stroll through the Farmer’s Market before heading out to Beaver Lake. Stands are up as early as 7:30 a.m. and are filled with fresh produce, artisanal crafts, flowers, fresh baked bread, coffee and more. I got my morning coffee at the Onyx Coffee Lab stand and picked up a variety of products to bring to the lake. I bought locally made cheese, fresh sourdough bread with fig and fennel, organic cucumbers (two for $1), an organic tomato the size of both my hands put together and fresh homemade pies for dessert. I was pleased to see an abundance of foods are available featuring local produce from nearby farms. Hobbs State Park is Arkansas’ largest state park with over 12,000 acres. The visitor center is a good place to learn more about the area, including the nearby caves, wildlife and terrain. If you are planning to visit War Eagle Cavern, the visit center has information about the cave life, bats and cave ecosystems. The visitor center also hosts different events including guided hikes, kayaking, story time and family crafts. Be sure to check their activity schedule for dates and times. The Ozark Plateau Trail is great for hiking and close to the visitor center. It’s an easy 0.25 mile hike on concrete and 0.50 mile hike on crushed stone. If needed, you can easily maneuver a stroller along the path. For a scenic hour-long hike, head 4 four miles away to the Shaddox Hollow Trailhead. The trail is a 1.5 mile loop with a moderate grade. You’ll hike along Ozark woods and other plants. Towards the end of the trail there are shallow caves you can explore. War Eagle Cavern is the largest cavern in Northwest Arkansas and one of the area’s top attractions. Take their one-hour family friendly guided cavern tour to learn about the local history and cave formations. Our guide picked us up at the visitor center and walked us down into the cavern. Along the way, he pointed out different plants and trees while telling us about the area’s history. The cave felt great at 58 degrees. On a hot summer day, can you imagine how good that would feel? During the tour, the guide points out different geological features and explains how they were formed. Towards the end of the tour, you are in an area where, if everyone is okay with it, the guide turns out the lights and the room goes dark. It gives you an appreciation for modern conveniences and an understanding what it was first like to explore those caverns. At the end of the cavern tour, visitors can explore the surrounding area. There is a fossil dig, trails and gem mining. No reservations are needed as tours start every 20 minutes. Plan to spend about two or more hours here. Beaver Lake is a popular water destination in Northwest Arkansas and is the birthplace of the White River. There are almost 500 miles of shoreline along Beaver Lake and it’s a popular destination for boating, swimming, fishing and paddle boarding. 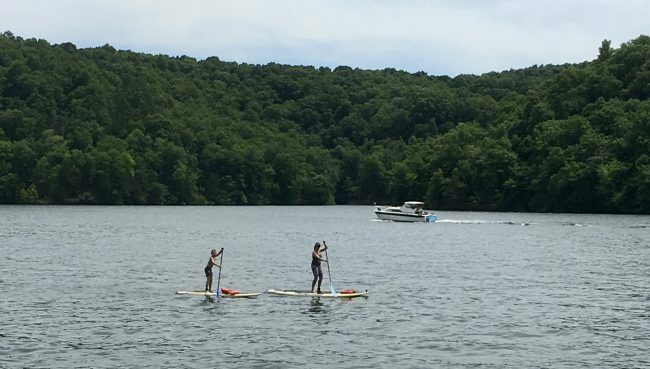 Many marinas will rent motorized boats on the lake, but there is only one Stand Up Paddle Boarding operator on the lake known as SUP Outfitters. They have a rental truck on the Southeast side of Beaver Lake that’s about a 30 minute drive from War Eagle Cavern. Melody, the owner of SUP Outfitters, gives new paddlers a bit of instruction before heading out onto the water. Her motto is, “safety first and smiles second.” Once on the water, you are treated to a beautiful lake with limestone walls. In the area, you can sometimes see waterfalls coming off the walls and falling into the lake. Our family has experienced paddle boarding and really enjoyed our time on the water. There was a fair amount of boat traffic on the lake. If you haven’t paddled/SUP before, I’d highly recommend taking Melody’s full instruction class before getting on the water. Beaver Lake can be busy with boat traffic and it’s good to have a solid foundation before heading out. This was a highlight of our trip (and one of the things I most looked forward to!). Crystal Bridges Museum of Art features a diverse assortment of art in their permanent collections. Thanks to the Walmart family, admission to these collections is free for all to enjoy. Visitors can view American artists like Andy Warhol, Thomas Moran, Fredric Remington, Mary Cassatt, Georgia O’Keeffe, Norman Rockwell and Roy Lichtenstein. Art has a way of starting conversations in my family. 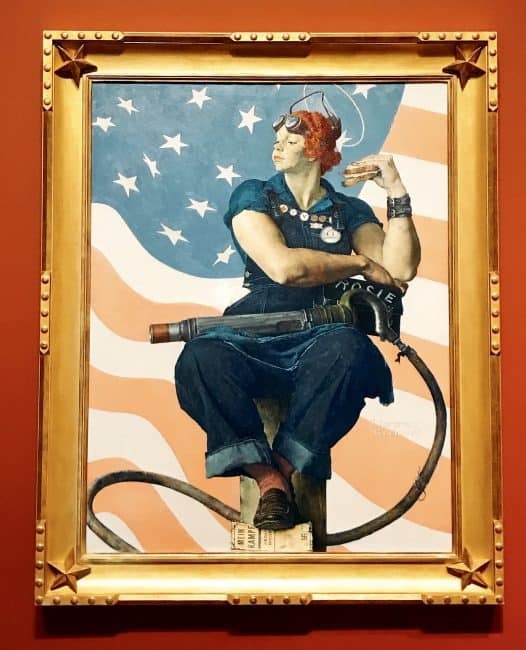 One of the paintings on display, Rosie the Riveter by Norman Rockwell, sparked a family discussion about WWII and that led to other conversations about work and life. For younger children, there is a large designated area called the Experience Art Studio where kids can discover art in their own way through books, toys, puzzles, crafts and more. If you enjoy architecture, the museum itself is a work of art. Stop into the exhibit that discusses the museum was built and then head to the Frank Lloyd Wright House to view its unique style. There are restaurants in the area that will satisfy any craving you might have. Many are casual and great for families, with plenty of healthy options. From local coffee houses roasting their own coffee to a brasserie serving roasted bone marrow, you’ll find new favorites that will have you coming back. Coffee is essential for our family first thing in the morning. Listed below are two coffee shops that came highly recommended by locals and visitors alike. Instagram-worthy pastries and caffeine-fueled beverages make this a winner for me. I tried a Strawberry and Basil Croissant and Blueberry Muffin here — both were phenomenal. While there, I was also introduced to Pink House Alchemy* syrups. I recommend the Thai iced coffee with cardamom sugar syrup. *Pink House Alchemy is a local company in Bentonville that produces all natural sugar syrup for coffee, soda, lemonade, and other beverages. 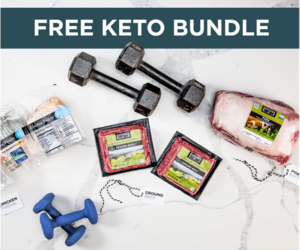 It was launched at a Farmer’s Market and is now sold in Whole Foods, Natural Grocers and coffee shops. A casual coffee house serving locally made baked goods. The bacon, cheddar, brussel sprouts scone was a winner for me. I was impressed with Tusk and Trotter in Bentonville. Located just off the downtown square, this could rival many big-city restaurants. I had the fried chicken and waffles with succotash for a side. It was Tennessee hot chicken with a carrot cake waffle and maple bacon béchamel sauce. Are you drooling yet? Just wait until dessert…. Trot on Over Here is a sticky toffee pudding with maple bacon ice cream. Service is spot on and food will have you coming back again and again. Here you will find authentic Cuban food. Try one of their Cuban sandwiches or the mango tilapia with yellow rice and maduro. End your meal with a slice of tres leches cake. So good! You will be surprised at how many food trucks Bentonville has for a town its size. Wok the Wok is one of those food trucks serving delicious Asian street food. From eggrolls and stuffed chicken wings to street noodles, everything is delicious. 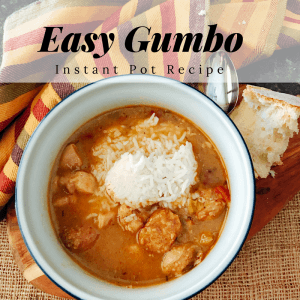 It’s comfort food at its best. You should try the stuffed chicken wings. They are boneless wings stuffed with egg roll filling and served with Vietnamese sweet chili sauce. Then try the street noodles with your choice of chicken, beef or shrimp. It’s all delicious. Check out my favorite 10 Restaurants in Bentonville AR. You will find a whole host of lodging options in the area from VRBO to hotels. The revitalized downtown area in Bentonville is a great area to stay and it provides numerous family offerings. You can walk or bike the area safely. Attractions, restaurants and shopping are all very close. During our visit, we stayed in a downtown apartment courtesy of Emily and her team at Pink House Alchemy. Our family loved being able to stay near the square in Bentonville and the Pink House Alchemy team was kind enough to provide us with a few of their sugar syrups to try (my favorites were vanilla bean and sarsaparilla in carbonated water!).. Start planning your next family trip to Northwest Arkansas at Arkansas.com. Looking for More Fun in Northwest Arkansas? 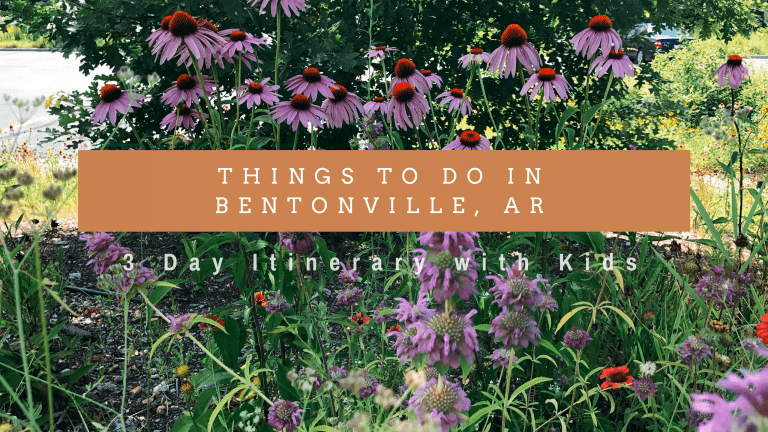 These are just some of the sites and things to do in Bentonville, AR,, with the kids. Northwest Arkansas and the Ozarks offer families plenty of opportunities for indoor and outdoor fun. We were there just three days and that wasn’t nearly enough time to explore. I can’t wait to go back to continue the fun. Visiting the Ozark Highlands National Recreation Trail: A 258-mile hiking and backpacking trail through some of the most scenic areas in Arkansas. The route winds east-west through the wilderness of the Ozark Mountains from Lake Fort Smith State Park to the Buffalo National River. Watching a baseball game at Arvest Ballpark: Home of the Northwest Arkansas Naturals minor-league baseball team. Heading to Eureka Springs to see The Thorncrown Chapel: A breathtaking structure, designed by famed Arkansas architect E. Fay Jones, which made the American Institute of Architecture’s list of Top 10 Designs of the 20th Century. Visiting Northwest Arkansas, the state’s top winemaking region: Visit the town of Altus which is home to the Mount Bethel, Post, Chateaux Aux Arc, Wiederkehr and Neumeier wineries. Start planning your next family trip to Northwest Arkansas here and get ready for adventure! Nicky, what a great post! I love the mix of indoor and outdoor attractions and will have to add this to our list. I’ve heard great things about the Amazeum and it looks like it would be right up my kids’ ally! Thanks for sharing! Hi there,I read your new stuff named “YouTube” daily.Your humoristic style is witty, keep up the good work! And you can look our website about love spell https://0lovespells0.blogspot.com/.